*repost from fb blog* I have a Beautiful Low Fat Valentine’s Dessert for you my lovelies! 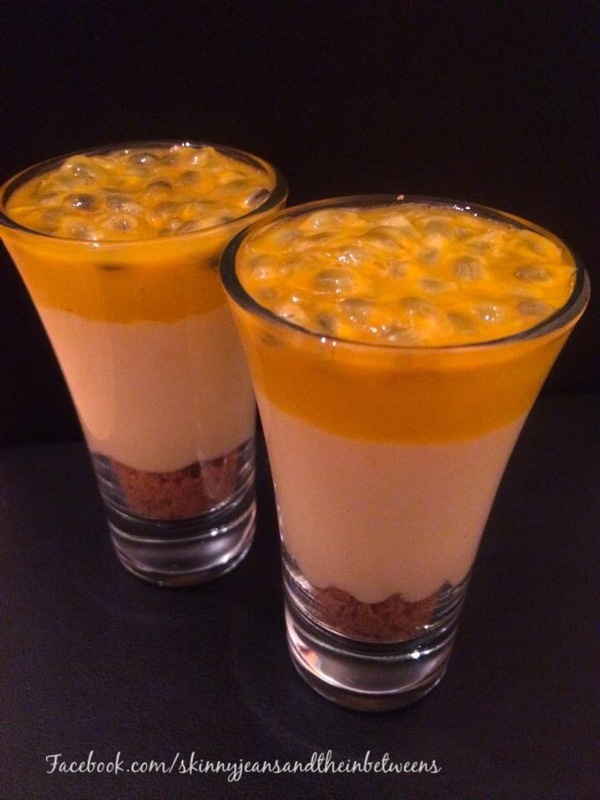 Luscious Mango & Passionfruit Layered Puds. Scrumptious! Here’s the Skinny: Crush 2 Gingernut Biscuits into the bottom of your glasses (4 small or 2 medium) Mix 100g Lightest Cream Cheese, 100g 0% Fat Greek Yoghurt, 2 Tbsps Sweetener & Couple drops of Vanilla Extract in a bowl. Peel & Slice 1 Mango & Puree in a bowl with a hand blender or in a food processor until smooth, add 4 tbsp Mango Puree to the Yoghurt mixture & mix well. 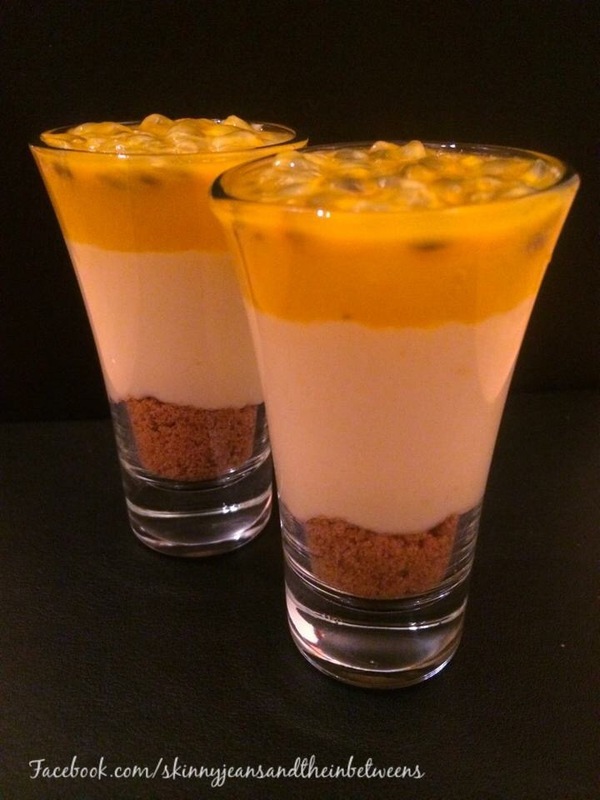 Top the Biscuit crumb with the Yoghurt Mixture & spoon the rest of the Mango Puree on top. Refrigerate for about an hour to set. 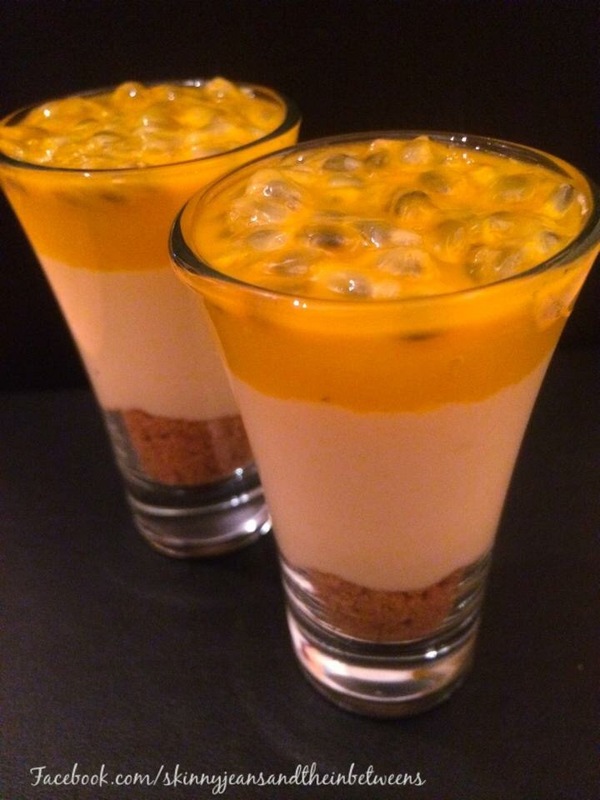 Slice 2 Passionfruit & spoon on top of the Puds. 3pps each! Yumdiddlyumptious!! !